We are Family: Our community has traditionally stood together to preserve its neighborhoods, with empathy for those most impacted. Historic Takoma is actively working with our neighborhoods and organizations such as the National Trust for Historic Preservation to make this development compatible with our DC and Maryland historic districts in height, overall scale/massing, density, setbacks, and the preservation of mature trees and open space. To do this, there is a need for attorneys with a variety of skills and knowledge, including a familiarity with federal preservation processes. Right-sized Not Super-sized Development: The May 14th Site Plan elevations can be found at dc-mdneighborsfortakomatransit.org. 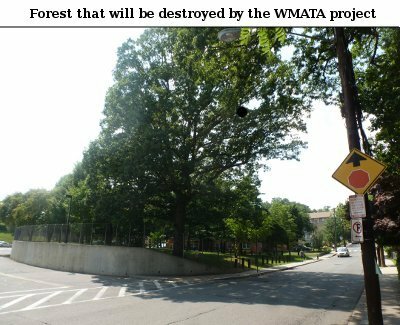 Currently, the proposed development at the Takoma Metro Station exceeds zoning regulation heights, reaching approximately 80 feet (shown with an unfinished height of 77 feet) with a footprint so large on this constrained space that it entirely consumes the 100 foot wide Park Buffer with mature trees next to the nearest apartment building on Eastern Avenue. Other areas of the green Park Buffer will be lost now or in the future, as yet unclear, with new bus bay placement. With a density of approximately 210 units, 4 floors of above-ground residential parking and one floor of station parking, this development will dump considerable car traffic onto narrow Eastern Avenue close to the corner of Holly Avenue from a three lane roadway to the development. This roadway will accommodate residential cars and station parking, with another two lanes and a turn-around for buses onto Eastern in this vicinity. Parking on northbound Piney Branch Road between Dahlia and Eastern will be eliminated to provide a long turn lane onto Eastern Avenue to accommodate this overwhelming plan. Any other plans regarding the road and intersections have not been shared. As of this date, the developer HAS STILL NOT PROVIDED elevations showing the impact of this proposal on nearby low-scale apartment buildings and single family houses on Eastern Avenue, or provided information on its impact on the Holly Avenue intersection at Eastern. Historic Takoma offered to organize a meeting with WMATA and nearby residents, but WMATA refused to meet with them. Legal Guidance and Activities are On-going: So far, Historic Takoma has hired two law firms that have provided legal guidance, analysis, direction, and testimony provided on links below. You will also find below an analysis of WMATA's traffic study commissioned by one of our law firms. WMATA's traffic study was found to be fatally flawed in many serious respects, including a glaring lack of consideration of the cumulative impact of several large approved projects, on-line in the near future. If you would like to help beyond providing a donation, or wish to contact us on this project for more information, email us at wmata@historictakoma.org. If you would like to display a "RIGHT-SIZED NOT SUPER-SIZED DEVELOPMENT" sign in your front yard, request one at: takomametro@gmail.com. A History of the Park at the Takoma Metro Station by Historic Takoma, Inc.